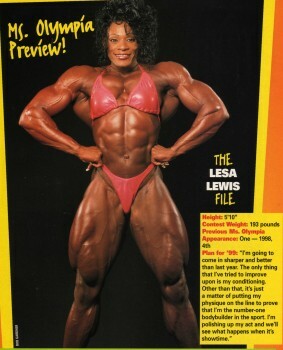 Kim Chizevsky at the 1999 Ms Olympia was the biggest contest shape female bodybuilder I have ever seen. Totally agreed. Perfect casting. I bought the video (The Cell) when it came out just for that scene. Kim was amazing! And for me M7, it wasn't just Kim's incredible build.. Around that era, Kim's eyes started looking sunken & intense, and She developed a nice chiseled jaw. Late '90s Kim looked seriously stoic & powerful. She was awesome..
Don't know if this has been shared before. 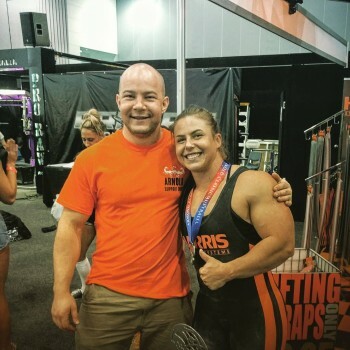 Aussie powerlifter Chleo Van Wyk is huge! 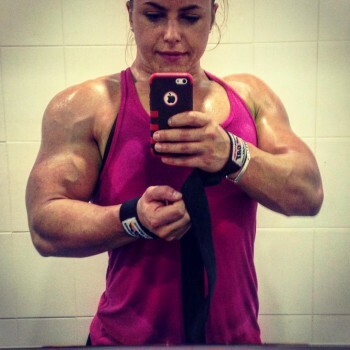 Just look at the size of her arms! 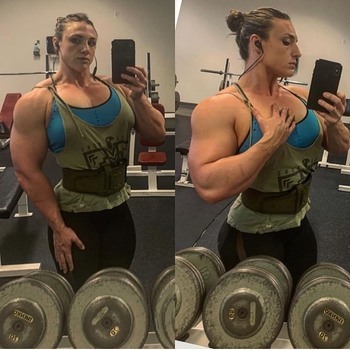 She is built like a tank. You can't mention huge without this lady. 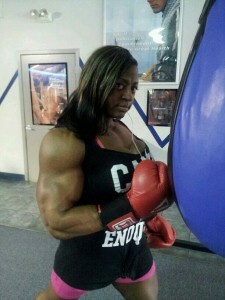 Trudy was such a mass monster. Great thread! 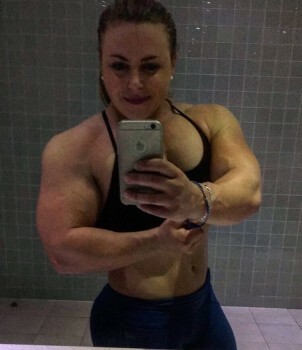 She is a awesome athlete!.